Are you irritated by sagging upper arms? Well, we must say you’re not alone! In fact, no one likes flabby arms. The reason is pretty obvious that they make you look less attractive and obviously well-toned arms look really attractive. In the contemporary lifestyle, many people are struggling with weight loss issue. No wonder, the arm fat is the most stubborn fat. But, you sure can get lean, toned and shaped arms with the help of yoga. Chaturanga Dandasana, also known as Four-Limbed Staff Pose or Low Plank Pose, is a popular yoga pose that involves all the limbs of your body. In this pose, you have to maintain a straight posture parallel to the ground, supported by the toes and palms, with elbows at a right angle. If you want toned arms, then practice this pose empty stomach for 30 to 60 seconds. Chaturanga Dandasana is a really good pose for arms and wrists. It strengthens your arms, enhances the core stability and allows your body to make a firm arm balance. The pose is great if you want to boost your stamina. Here comes a challenging pose that promotes both balance and strength of arms. It is called “Vasisthasana” or “Side Plank Pose”. In the word ‘Vasisthasana’, Sanskrit word in “Vasistha” means “most excellent” or “best.” The pose actually works excellently for arm weight loss. This pose also starts with a simple plank and then you have to gently shift your weight to one side with the help of your hand, arms. Practice it in the morning on an empty stomach and hold the pose for 30 to 60 seconds. Vasisthasana improves the balance of your body and stretches your wrists. It stresses on the arms and eventually reduces the arm fat. Astavakrasana or Eight Angle Pose is also a yoga pose that improves the shape of arms. It is an asana named after a sage named Ashtavakra, the spiritual guru of King Janaka. This is an advanced level of Ashtanga yoga. If you want well-toned arms, then you can practice it in the morning on an empty stomach at least for one minute with a few repetitions. This asana is especially beneficial for arms and hands. It improves blood circulation and strengthens your shoulders, arms and wrists and ultimately gives you well-toned arms. Bakasana or crow pose is an arm balancing asana in which hands are placed on the floor, allowing your shins to rest upon your upper arms and feet is lifted up. It is an intermediate level of Hatha yoga asana. Practicing this asana daily will give you well-toned and attractive arms. Practice it in the morning on an empty stomach and try to hold the pose for 30 to 60 seconds. Bakasana is a yoga asana that not only strengthens your forearms, shoulders, and wrists but also increases your stamina and stability to perform physical activity. The Ardha Pincha Mayurasana or the Dolphin Pose looks like a reverse version of alphabet “V”. The Dolphin Pose is a beginner level yoga asana that strengthens both legs and arms and stretches hamstring, calf, shoulder and arches of the foot. To achieve good results and impressive arms, practice it in the morning or evening on clean bowels and try to hold the pose for at least 30 to 60 seconds. Ardha Pincha Mayurasana relieves tension in your body. It opens your chest, stretches your shoulders and keeps your bones strong. 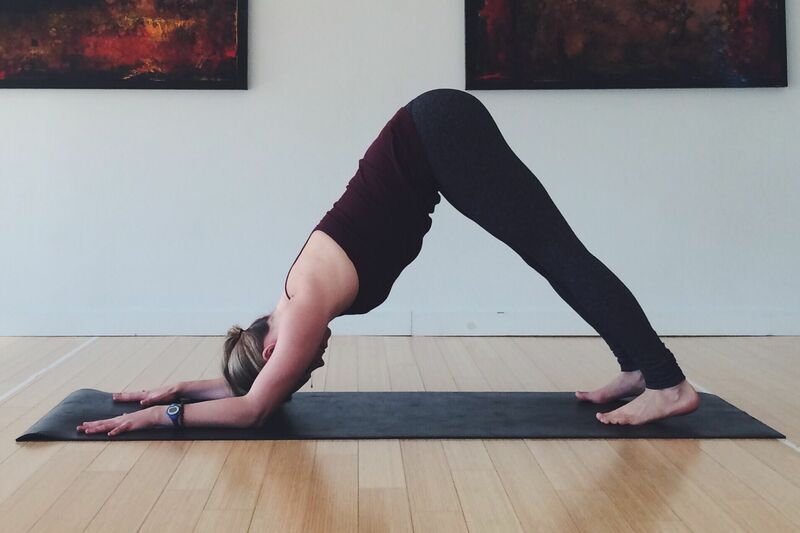 Mayurasana or Peacock Pose is one of the best poses for arms. It also helps to tone the abdominal portion of the body. It also strengthens the forearms, wrists, and elbows. It will give your arms an impressive and attractive look. While performing this asana, an individual assumes a peacock-like posture and that’s why it is called Peacock pose. If you want to flaunt your toned body and arms, then practice this asana and hold it for at least 30 to 60 seconds. Mayurasana strengthens your arms, hands, elbows, and wrists and also helps in reducing the arm fat. 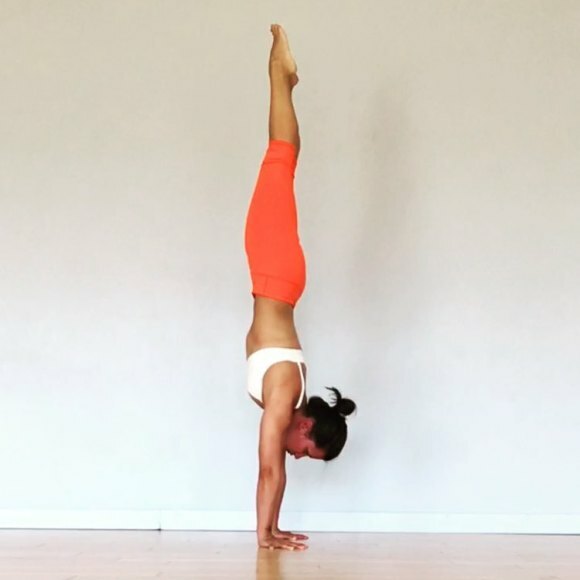 Adho Mukha Vrksasana, also known as Handstand, is another famous yoga asana that requires you to balance your entire body on your hands and ultimately improves the shape of your arms. You need to maintain great balance while practicing this pose. Regular practice of this pose will give you toned arms. Try to hold this posture for 1 to 3 minute. Adho Mukha Vrksasana enables a reverse flow of blood, energizes your entire body, and strengthens your shoulders, arms, and wrists. It is no secret that the art of yoga assists in managing individual’s mind, body and soul. It also helps in improving the flexibility, muscle strength and keeps your body and arms tone.